Psst…something big is missing from your daily beauty routine. It’s collagen—the heavy duty network of connective proteins that contributes to skin’s firmness, elasticity and ultimately how it looks. Here’s what you need to know about collagen and how you can support your skin from within. 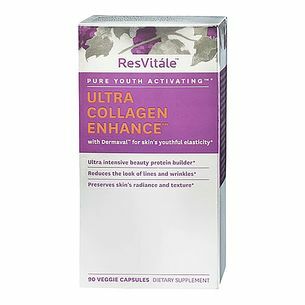 Collagen is plentiful in the body. In youth, skin is plump, perky and fabulous as production of this skin protein is steady. 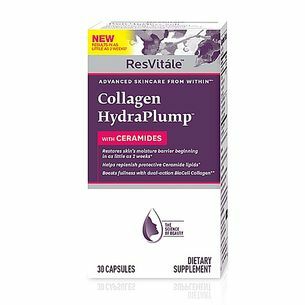 Strong, healthy collagen fibers offer a spring-like bounce. As we age however, collagen synthesis declines, hormones shift and before long the recognizable signs of age become visible—wrinkles, sagging and a loss of elasticity. 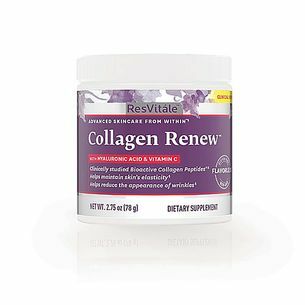 So, what to do about collagen loss? Collagen has been long recognized as a skin-supporting regimen in Asian cultures where collagen is consumed in food and beverages. But if bone broth isn’t your cup of tea, there are collagen-based products that also provide key nutrients involved in collagen synthesis. 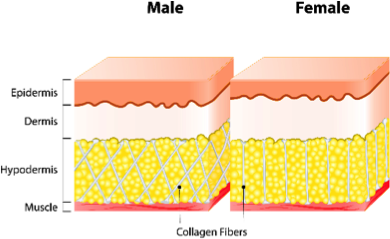 Topical collagen in skincare products promises to deliver collagen through the skin surface. However, the molecules in many of them may be too large to penetrate the dermis, skin’s mid-layer. If you want to choose the nutritional route, try collagen-based supplements. Peptides are microscopic bundles of amino acids that make up collagen and other proteins in the body. While tiny, they do vary in size and shape. 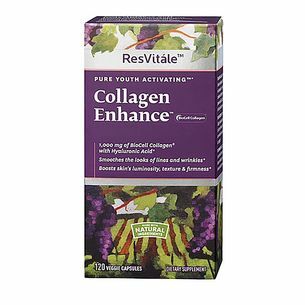 ResVitale uses collagen peptide molecules that are “body-ready”, sized smaller for easy digestion thanks to a production process that’s so unique, it’s patented. These special peptides are backed by published, randomized double-blind clinical trials! Vitamin C - required for collagen synthesis. Hyaluronic Acid - a component in skin that helps with hydration. Next Stop, More Beautiful Skin! If you want to support your skin as you age, nourish it right. 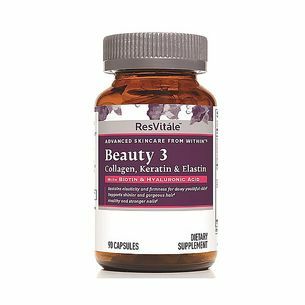 A great place to start is with this deluxe line of beautiful skin supplements. **Diagram depicts facial area and areas of the body where cellulite occurs.